We are looking for talented developers to join the appear.in team! At appear.in we are building the easiest video meeting tool available on the web. Millions of people all around the world use appear.in every week to connect, communicate and collaborate, both privately and as part of their daily work. If you want to be part of our journey in making appear.in even more user friendly, making it a more powerful and productive tool, and ensuring that it has the best scalability and stability in the business – we have a desk for you! You’ll be part of building an internet service that people love to use and that provides value to users around the world. You’ll be be positively impacting the lives of millions of people every time you deploy code that improves the service. You’ll be pushing the limits technologically – appear.in was one of the first services to adopt WebRTC to provide a pure web video conferencing service, and is mentioned alongside Google Hangouts and Facebook Messenger in WebRTC discussions. You’ll be part of a stellar team of developers, product designers, UX researchers and designers striving to help each other succeed. While we don’t expect you to come pre-loaded with domain knowledge of our more specialist areas, it is of course a welcome bonus if you do. For instance, if you have expert knowledge of WebRTC, please stop reading and give us a call right away. The appear.in headquarters are located downtown Oslo, but we will be considering remote candidates as well if the application is strong. However, the time zone shift should not be more than 3 or 4 hours from Oslo time, to make sure we have at least some overlap during the work day. Use of home office or working from outside the main office is common. At appear.in, we work in two-week sprints and use agile methodologies where we find that they provide value for us. We focus on continuously releasing the code we are working on to the users, and we iterate towards the best solution rather than attempt to plan it all out in advance. Employees of all disciplines work together when planning new features, and you’ll be part of this. We maintain task overviews in Trello, and keep the rest of the company up to date with progress by updating the task boards. We do code peer reviews of all code that goes into the appear.in service – we still push new versions of appear.in to production several times a day. When things go wrong, we hold blameless post-mortems to get as close as we can to the root causes and understand how we can fix our systems and processes to improve the quality of the product. Writing awesome code and pushing it to production! Discussing how new features can be built, together with our designer, product manager, user researcher and other engineers. appear.in is a fast-growing startup with a global user base of more than 1 million users per month, with a long-term vision of becoming a global mass-market product. By joining our team now, you get a chance to take part in the journey of building up our product! You will be an integral part of the process of designing the product, not just implementing specs. You get to choose your own dev machine and which tools to run on them. You get to work with modern development tools like GitHub, Terraform, Amazon AWS, Slack and Trello. You will become part of a tightly knit team of highly passionate people who aim to create the best possible user experience. We are not afraid of challenging status quo and aim for radical simplicity in everything we do. We have awesome team building trips! 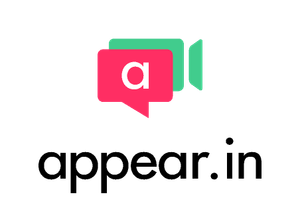 The goal of appear.in is to make it as natural to talk over video as meeting face to face, and we believe that the future of work will radically change when this happens. We invest in engaging with the remote work community, and constantly try to adapt our product to the ever-changing needs of people. We are targeting companies who want a more simple tool for video meetings, and already have thousands of paying customers worldwide. Our growth plans as ambitious, and we are about to launch a new Business plan for larger teams and companies. With more than 1 million users talking over video every month, we have a great foundation for continuing to grow while building up revenue. We are a small team of 17 people primarily based in Oslo, and are owned by the Norwegian video conferencing company Videonor AS, based in Måløy. You can read more about the appear.in team and how we work at our Career pages, or follow us on our blog, Instagram, Facebook or Twitter. By applying for this position you give us permission to store and process any personal information you submit with your application for the duration of the opening. Your data will be deleted once the position has been filled.